Mike Glennon and I set up your backpack antenna and the Hawaiian antenna at the Big Springs Park in Tullahoma on 11 Oct 2014. Your antenna outperformed his in receiving and transmitting by several S-units." "I guess that the bottom line is that I am quite satisfied with the performance. It really performed well, was easy to transport, erect and take down. It was great on both phone and digital modes and really saved our field day on one of the high power stations. I would have bet that it would not have performed as well as a wire, but I am now convinced the other way. It is a good, solid product, I’m glad that I purchased it and would not hesitate to recommend it to anyone." "First contact made was Brazil PX5E! THANKS BROTHER! I LOVE IT!!!!! Thought I would send you a pic of my IMD-105 setup. The pole on the ground went to the Windom, the 105 works so much better I took the windom down." "It mounts handsomely flat on the ground and is a great looking piece of hardware. Converting to the TN07 mounting plate is very simple and makes for a much better product. The mounting plate solution looks so much better and bottom line is the antenna system is much more portable now. I highly recommend the mounting plate conversion for anyone who wants to enjoy using the Eagle One with less hassle during setup and more up time for transmitting." "Up and running extremely well and excellent on all bands with my Palstar AT-500 tuner! Easy to tune! 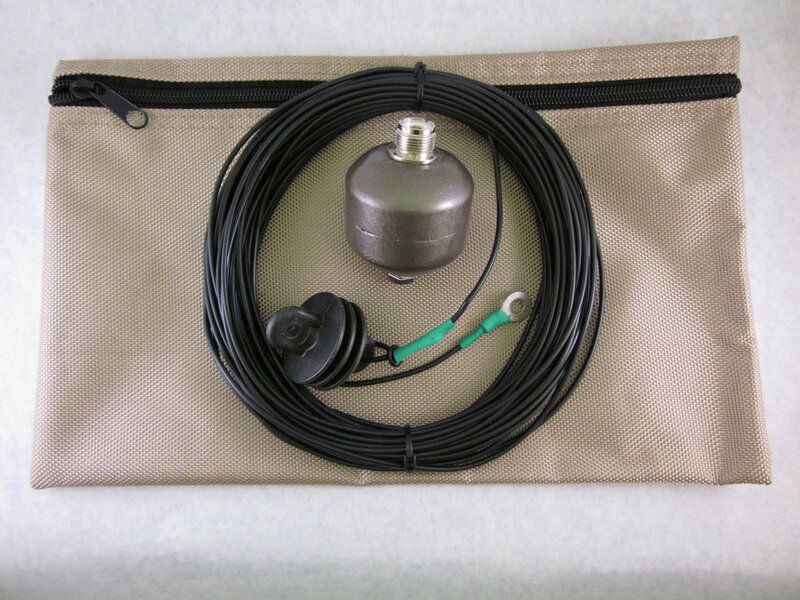 The reception is excellent and easy to set up the complete antenna. I did it all by myself in less than 45 minutes. The coax I use is the LMR 240. My QTH is about an elevation of 1,230 feet."